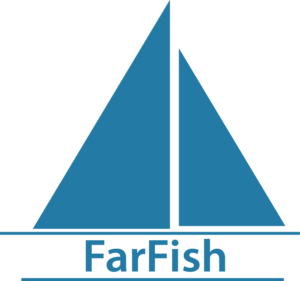 SO1) To advance knowledge and collate data related to biological characteristics of the main fish stocks in selected fisheries outside EU waters that are important for the EU fleet, and to evaluate the relevance and applicability of appropriate stock assessment methods for these fisheries. SO2) To map and analyse the value chains of the selected fisheries and their current infrastructure and to suggest improvements that promote future sustainability, profitability and predictable provision of seafood. SO3) To analyse current legal and contractual practices and constraints in these fisheries, and to produce policy recommendations for improved management of these fisheries based on increased accountability and participation of resource users, including what the rights and obligations all parties involved should be. SO4) To develop flexible, dynamic and ready-to-use management plans in close collaboration with stakeholders based on Results-Based Management principles for the selected fisheries, containing measures for approaching maximum sustainable yield levels. SO5) To evaluate the relevance, applicability, sustainability, costs, benefits and compliance with overall goals for the management plans and to provide feedback on feasibility and a roadmap for potential implementation. SO6) To develop general fisheries management- and other decision support tools. Provide recommendations relating to data sampling, stock assessment methods and management procedures, including when data availability is poor and degree of control and enforcement is low. SO7) To provide education, training and dissemination to stakeholders within the value chains of EU fisheries in Sustainable Fisheries Partnership Agreement waters and international waters, and to improve their professional skills and regional networks.